Marc Kasowitz, the head of President Donald Trump's outside legal team representing him in the Russia investigation is reportedly stepping aside, according to multiple reports published Thursday night. CBS News White House correspondent Major Garret first tweeted Kasowitz was "out" as Trump's attorney, while New York Times White House correspondent Maggie Haberman tweeted he was "not gone," but had a "lesser role." Kinda want to call Marc Kasowitz right now. The news comes amid reports of Trump reshuffling his circle of attorneys as the Trump-Russia probe looms over his presidency. 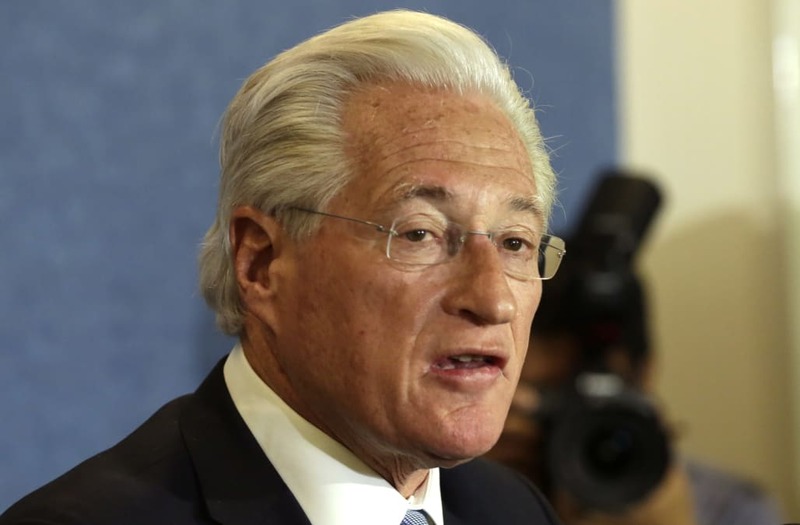 Kasowitz received criticism for a series of profanity-laced email exchanges he had with what appeared to be a stranger last week. He has since apologized for the emails, saying that they were made "at the end of a very long day." Kasowitz, a New York-based trial attorney, was known as a prominent litigator and represented Trump in several cases in the past, including Trump's high-profile divorce proceedings with his first wife. He was last hired by Trump to represent him in late May.